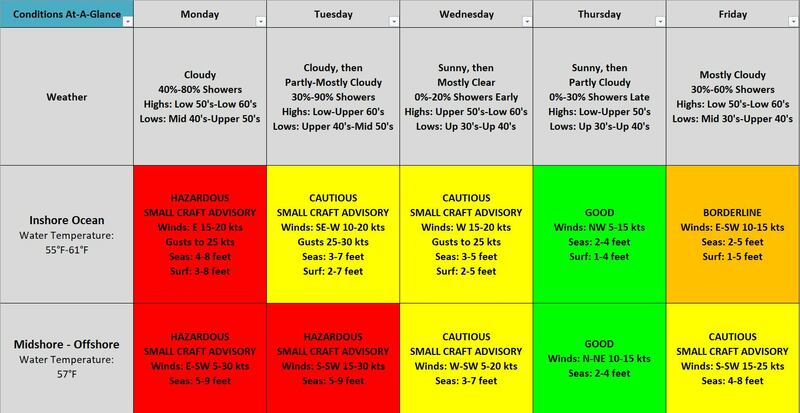 Another mixed week with mainly cautious to hazardous water conditions. Rain and thunderstorms are possible Monday and Tuesday, with showers the rest of the week, for all days, except Sunday. Showers are more isolated to scattered than organized, like in the beginning of the week. Highs will be mostly above average in the 50’s to 60’s with some 40’s on the weekend. Lows will be in the 30’s to 50’s. Water conditions are borderline to hazardous with good conditions on Thursday. 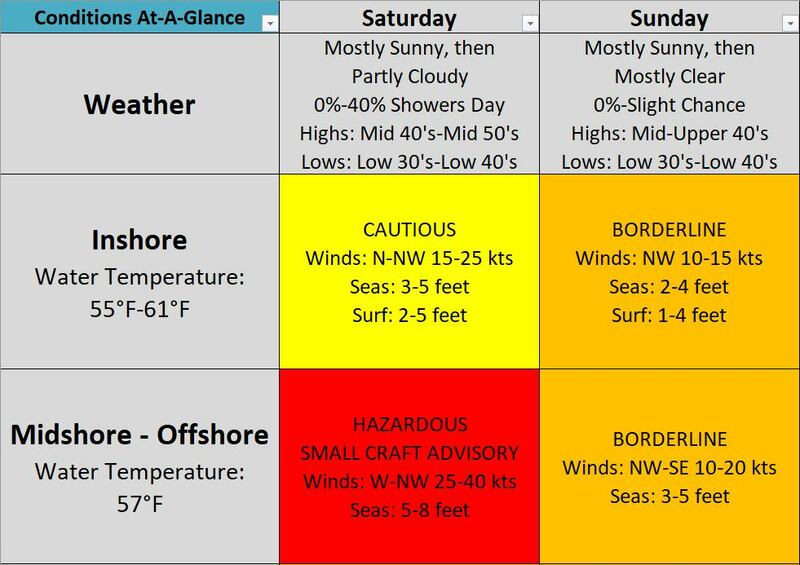 Surf and beach conditions will be good to cautious, at times. Water temperatures are still in the 50’s and 60’s. Thursday, before another low pressure system begins to take shape over the Ohio Valley by the end of the workweek.